Set up locations for any place your work might be hanging. A Location is any place your work is showing outside of your own Inventory. For example: galleries, shows, exhibitions, places of business, etc. 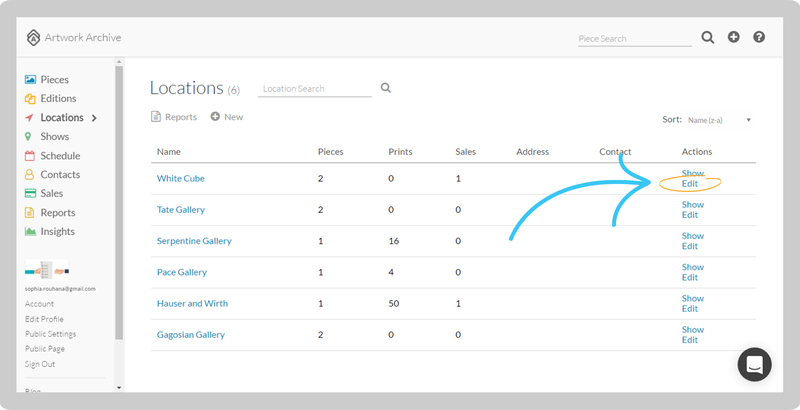 Assigning Pieces to Locations allows you to see where your work is across the globe and furthers the benefit of the Insights page. 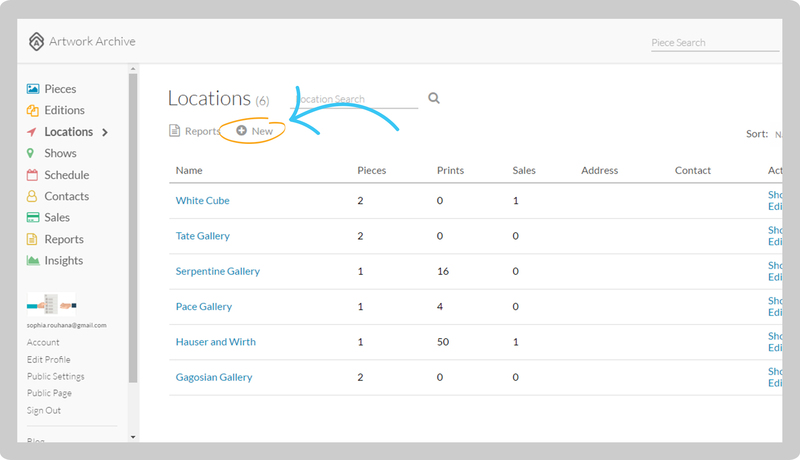 You will be able to see your top performing Locations, so you know which Location is doing the most for your art business. Click on Locations and click the gray New button. Add in the Location’s information and click Create Location. When you are creating a new record for a piece (Pieces > New) you will notice that you can now enter the location directly from this record. Scroll to the bottom of the location record and either select a current location or create a new location record. 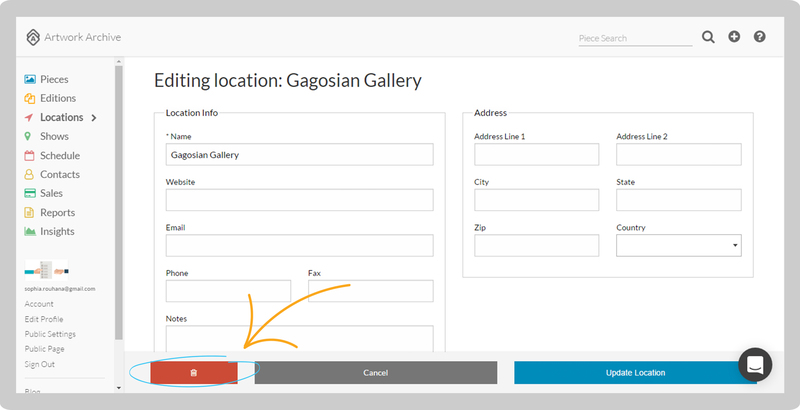 If you choose to create a new location record, additional details about the location (address, contacts, etc) must be edited through the Locations feature on the left-hand panel. Click on Locations and click Edit to the right-hand side of the Location you want to delete. Scroll down and click the trashcan icon. The deletion is permanent and you will lose the associated records. The Pieces assigned to this Location will not be deleted and will return to your Inventory.